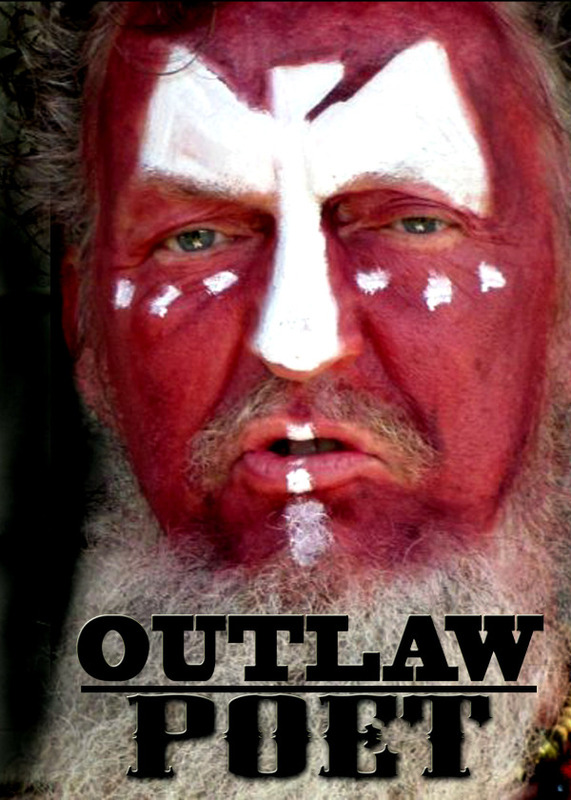 American agitator, grassroots activist and global firebrand. Professor, author, Nobel prize nominee and a native son of Kentucky. Saira Viola: Raised on a farm in Kentucky how important is nature in your work and the rhythmic beat of the lan? Ron Whitehead: We’re born in space. We measure space with time. But if that’s all there was life would be boring, tick tock metronomic. It’s the third element, rhythm, that adds the magic the mojo the mysterium tremendum the terrible beauty the poetry to life! As a boy wandering cross the yard the meadow the pastures the wild flowered fields the tall woods down the crooked dirt roads the lost backroads the coal train railroads the luscious Kentucky wilderness I walked with the beat with rhythm. I skipped I jumped I shouted I danced I proclaimed I sang the words coming to me channeled straight riding the blood crest direct from the holy unholy realms of the creative imagination right into me. Oh the poems the songs came early and there has been a steady non-stop river of alchemical fire burning through me ever since I was 5 years old and I’m 66 now and the river has grown the river is vast and it’s gushing into all the oceans of the worlds! SV: Music is one of your primary passions and you’ve collaborated with artists and musicians all over the world. What is the significance of music in your verse and who offers you the most inspiration? 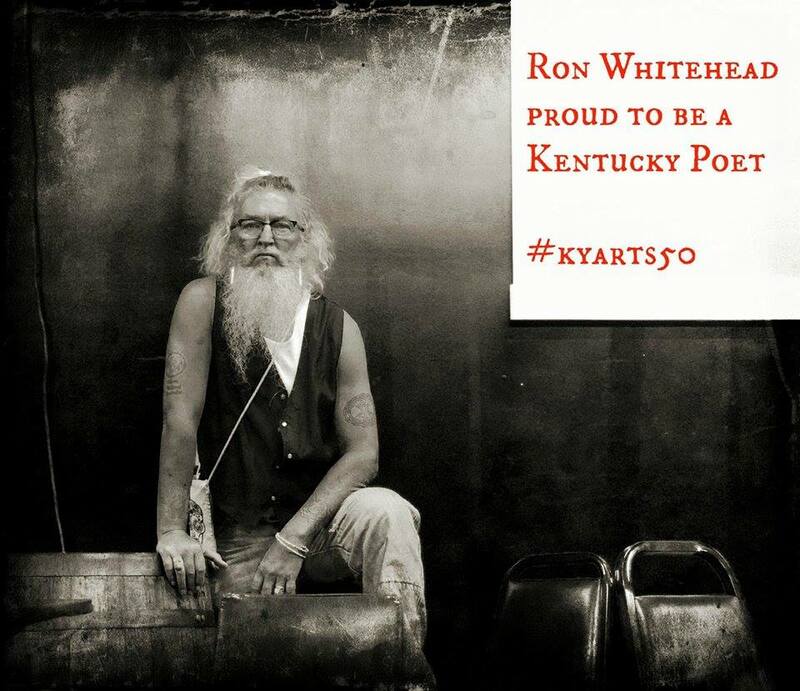 SV: You have just released your latest anthology of verse a basketball inspired collection: blistered asphalt on dixie highway: Kentucky Basketball is Poetry in Motion” by Ron Whitehead (Finishing Line Press; 40 pages, $14.99) and performed alongside legendary player Frank Messina, can you explain how this collection came about? RW: In 2014 I was the featured poet at 4 international Arts Festivals in Estonia and Finland. While on a 9-hour train ride from Lapland to southern Finland, while contemplating the beautiful nature and people of Finland and considering how much Kentucky and Finland have in common, I was suddenly struck by the fact that I knew little about the 1st 18 years of my Mother’s life. Mama is the oldest of 13. Daddy was 1 of 11. I’m the oldest of 6. In 2 minutes I fleshed out a book about Mama’s early life. When I returned to Kentucky I called Mama and told her my story and my plan and I asked her if she’d co-author the book with me. She excitedly said Yes! The book is titled MAMA: a poet’s heart in a Kentucky girl. In 2015 it was released in hardback. In 2016 the paperback came out. At the age of 83 Mama became, for the 1st time, a published author. It’s one of the greatest gifts I was ever able to give her! While working on the MAMA book my long-time friend New York Mets Poet Frank Messina called me. Frank and I have toured across Europe and the USA. 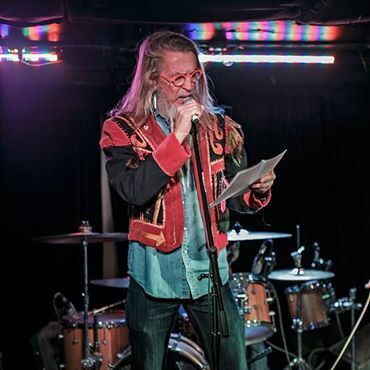 We have performed, recorded, and been best of friends since May of 1994 when he performed, with his band Spoken Motion, at the 48-hour non-stop music and poetry Insomniacathon I produced to kick off New York University’s week long 50-year celebration of The Beat Generation. Frank and I call each other often to get caught up on life. When I told him about the book I was writing, with Mama, he suggested I write a book of basketball poems sharing with the world some of the stories I’d shared with him during our travels. Frank wrote a book of Mets poems which landed him a feature story on the front cover of The New York Times. I told Frank, “HellYeah! That’s a Great Idea!” And so I started writing the basketball book while writing the MAMA book. The basketball book won the $1,000, plus publication, grand prize from Finishing Line Press. Frank hosted the release event at NYC’s historic Poets House. Miles Davis biographer Quincey Troupe, composer David Amram, and others performed. Frank hosted an amazing event. 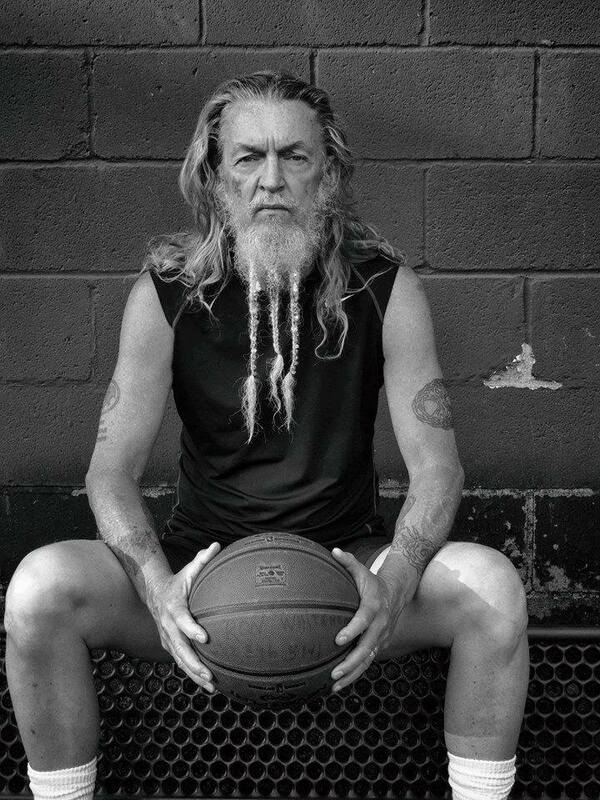 I never in my wildest dreams thought I’d write a book of basketball poems. When my sweetheart Jinn Bug told me she loved the book and that it’s one of the best books I’ve ever written well knowing that she hates sports I was ecstatic. The book is about life. My experiences playing basketball, since I was a boy, all over the world is the thread that holds it all together. SV: You are a key cultural influence in the underground movement and well known in the Kentucky community and beyond for your anti establishment views, as part of the original Beat circle who affected you the most during the Beat era and who do you feel resonates now? SV: You have authored over 30 books of verse, been nominated for the Nobel Prize in Literature and successfully maintained an active and inclusive role on the literary circuit what advice can you give those who want to follow your trail? How do they beat the rejection blues? SV: As someone who has witnessed first hand the divisive politics of race hate in the US and particularly in Kentucky what are your thoughts on the American race debate today? And what worries you most in a Trumpian world? RW: I was raised to be a compassionate warrior. When I was 25 I took a personal vow to become a non-violent spiritual warrior, using poetry as my primary vehicle of communication. But I tell you what, I’d sure like to take Donald Trump on, man to man, one on one! in the name of Democracy!!! SV: How if at all do you think art and literature can initiate or influence political and social change? The older I get the more I realize I don’t know anything, no one does. We’re all guessing, feeling our way, grappling for answers. But every day I have encounters with the spirit world. We are all in perpetual motion, in transition, even when we are still, silent, listening. Listening is the greatest art of all. Not-knowing is the fundamental plowed earth of our being, not-knowing. It is our life source. Embrace the wind. Embrace my heart. Born to die, there is no safety, all is demanded. Expose yourself completely. Accept the consequences of your successes, and your failures, as no other dare. Enlightened mind is not special, it is natural. Present yourself as you are, wise fool. Don’t hesitate, embrace mystery paradox uncertainty. Have courage. Through fear, and boredom, have faith. Be compassion. Embrace the wind. Embrace your heart. Not-knowing is the fundamental plowed earth of our being. It is our life source. Not-knowing. Today ‘Specialization’ is sold on every corner, fed in every home, brainwashed into every student, every young person. We are told that the only way to succeed, here at the beginning of the 21st Century is to put all our time, energy, learning, and focus into one area, one field, one specialty (math, science, computer technology, business, government). If we don’t we will fail. We are subtly and forcefully, implicitly and explicitly, encouraged to deny the rest of who we are, our total self, selves, our holistic being. The postmodern brave new world resides inside the computer via The Web with only faint peripheral recognition to the person, the individual (and by extension the real global community), the real human being operating the machine. The idea of and belief in specialization as the only path, only possibility, has sped up the fragmentation, the alienation which began to grow rapidly within the individual, radically reshaping culture, over a century ago with the birth of those Machiavellian revolutions in technology, industry, and war. And with the growing fracturing fragmentation and alienation comes the path – anger, fear, anxiety, angst, ennui, nihilism, depression, despair – that, for the person of action, leads to suicide. Unless, through our paradoxical leap of creative faith we engage ourselves in the belief, which can become a life mission that regardless of the consequences, we can, through our engagement, our actions, our loving life work, make the world a better, safer, friendlier place in which to live. Sound naive? What place does the Storm Generation voice, the voice that, though trembling, speaks out against The Powers That Be, what place does this Visionary Outsider Voice have in the real violent world in which we are immersed? Are we too desensitized to the violence, to the fact that in the past Century alone we have murdered over 160 million people in one war after another, to even think it worthwhile to consider the possibility of a less violent world? Are we too small, too insignificant t o make any kind of difference? The power-mongers have control. What difference can one little individual life possibly make, possibly matter? Today the X and Y and Z the microserf generations are swollen with young people yearning to express the creative energies buried in their hearts, seeping from every pore of their beings. They ache to change to heal the world. Is it still possible? Is it too late? Is there anyone (a group?) left to show the way to be an example? To be a guide? A mentor? James Joyce, King of Modernism, said the idea of the hero was nothing but a damn lie that the primary motivating forces are passion and compassion. As late as 1984 people were laughing at George Orwell. Today, as we finally move into an Orwellian culture of simulation life on the screen landscape, can we remember passion and compassion or has the postmodern ironic satyric death in life laugh killed both sperm and egg? Is there anywhere worth going from here? 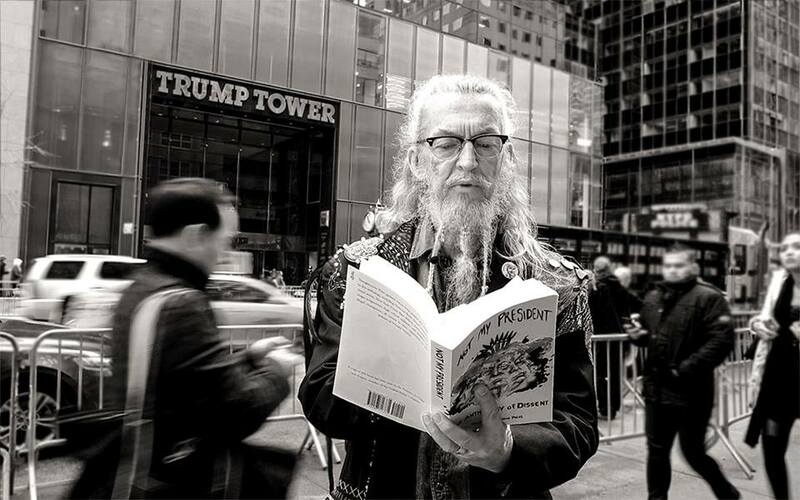 Is it any wonder that today’s youth have adopted Jack Kerouac, Allen Ginsberg, William S. Burroughs, Herbert Huncke, Gregory Corso, Neal Cassady, Lawrence Ferlinghetti, Amiri Baraka, Robert Creeley, David Amram, Diane di Prima, Ed Sanders, Anne Waldman, Bob Dylan, Hunter S. Thompson, The Clash, Sonic Youth, Rage Against The Machine, Public Enemy and all the other Beat Generation and related poets, writers, artists, musicians as their inspirational, life-affirming Storm Generation ancestors? These are people who have stood and still stand up against unreasoning power/right/might, looked that power in the eyes and said NO I don’t agree with you and this is why. And they have spoken these words, not for money or for fame, but out of life’s deepest convictions, out of the belief that we, each one of us, no matter our skin color our economic status our political religious sexual preferences, all of us have the right to live to dream as we choose rather than as some supposed higher moral authority prescribes for us. How will poets, writers, musicians, artists, filmmakers, photographers of the creative realms of the 21st Century respond to these questions? Some respond with ironic, comic faith, some with passion, with compassion, without which the intelligent sensitive creature will inevitably traverse the Valley of The Shadow of Death encountering Angst, Despair, Ennui, and possibly Suicide. The Storm Generation poet writer musician artist filmmaker photographer the empath whose natural ability is negative capability, ineluctably chooses the life-game quest of self-creation in the possibly infinite probability of possible realities in the self-contained inter-connected Ocean of Consciousness. So, where are you going? Please answer the question. Can art matter? My argument for The Ocean of Consciousness reaches back to the early experiential understanding of holy while reaching forward beyond the limits of dialectical gnosticism to an alchemy that also transcends divisions inherent in the alienation the fragmentation of Deep Modernism and the superficial chaos of postmodernism. SV: As someone who has struggled with addiction what has been the hardest part of that journey? p.s. no i didn’t go through AA or any other recovery program. i decided to quit drinking and i quit. no side effects no recovery problems. i have no problem with AA and NA. i’ve studied the literature for all the healing and recovery programs. everyone has to find their own way. it doesn’t bother me what anyone does. never has never will. i simply want the best for everyone. that’s all. SV: As someone who identifies with the primal influences of Icelandic culture what moves you beyond the realms of the present? RW: The yearning the eager desire for adventure into the unknown. SV: Is there a single book that changed your life and inspired you to write? RW: Once each week, when I was a boy, the Bookmobile came to our school. I was forever searching for new adventurously fascinating books. Madeleine L’Engle’s A WRINKLE IN TIME is the inspirational book that stands out more than any other from my childhood. SV: Every artist finds their own method of shaping their work, is there a poetic process you can share when you put words to paper? RW: I open all my energy centers, my chakras, and relax my perineum, allowing my entire being to become electric lightning white light. I listen. I go wherever my intuition guides me to go. I don’t hesitate. I fearlessly go. I call the process the sorcery of poetry. SV: You’ve been fortunate to meet some of the giants of literature is there anyone alive or not that you wished you’d spent some time with? RW: I’m honored to have edited, published, shared the stage and page, practiced hangoutology, become friends with all of them. And I anticipate making many more new friends as I journey on. SV: Do you have an opinion on poetry and lit critics? SV: Have you ever suffered the numbing hand of censorship? RW: Yes. I’m totally against censorship. As adults, as long as we aren’t harming others, we should have the freedom to choose. 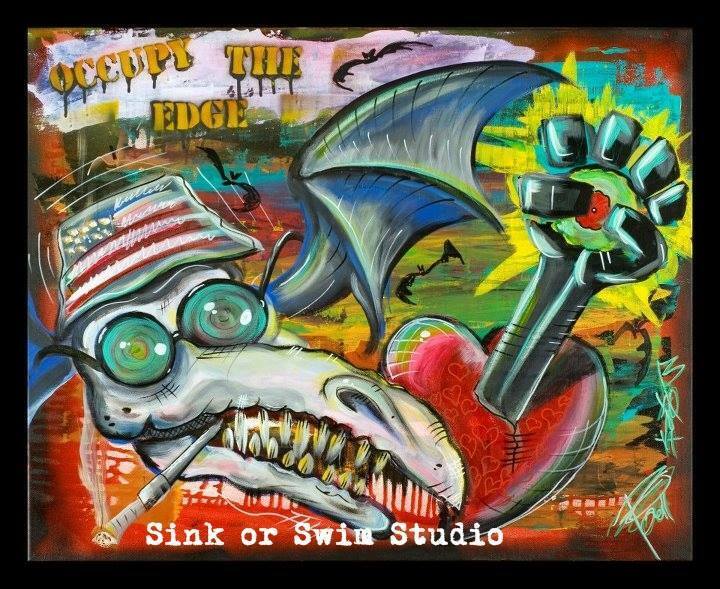 SV: For those who are uninitiated what is GONZO Fest? 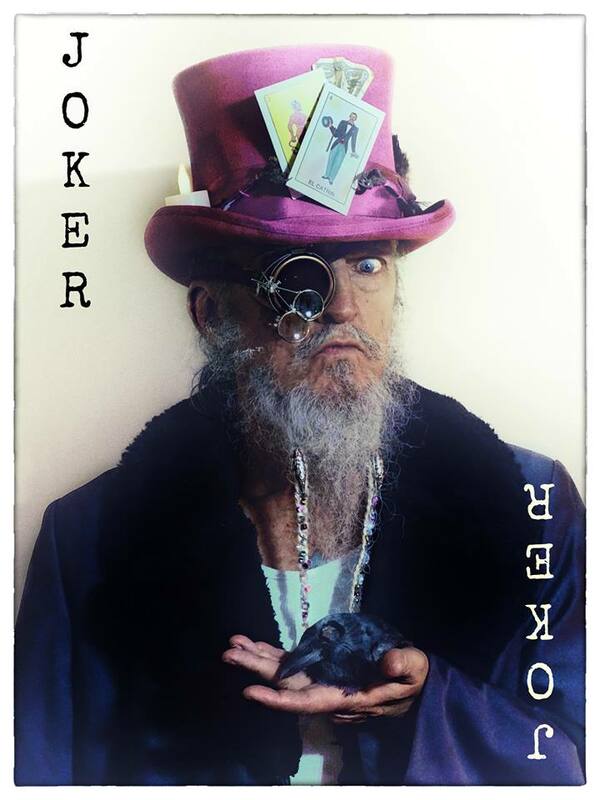 RW: On December 12, 1996 I produced The Official Hunter S. Thompson Tribute in Hunter’s hometown of Louisville, Kentucky. I brought in Hunter, his mother Virginia, his son Juan, Johnny Depp, Warren Zevon, Roxanne Pulitzer, Douglas Brinkley, Bob Braudis, David Amram, and others. After Hunter died I wrote a tribute plus 13 suggestions for Louisville to honor Hunter in his hometown. 7 years ago Dennie Humphrey and I founded GonzoFest, a celebration of the life and work of Hunter S. Thompson. 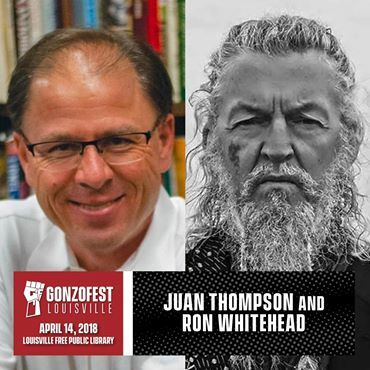 This year The Louisville Free Public Library, Hunter’s 1st library, became home to GonzoFest. Hunter’s mother, Virginia, retired as librarian there. Hunter’s mother was a remarkable person. I was honored to be her friend. SV: And finally if you could be President of the USA for one week what would you do? This entry was posted on 4 April, 2018 in homepage and tagged Jinn Bugg, Ron Whitehead, Saira Viola. Bookmark the permalink. 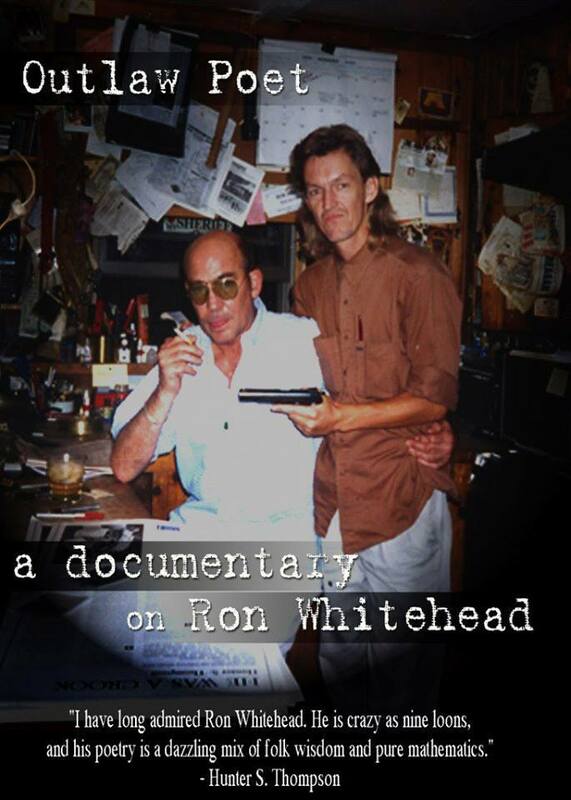 Ron Whitehead interview rocked my world!! You opened him up in such a fluid way. 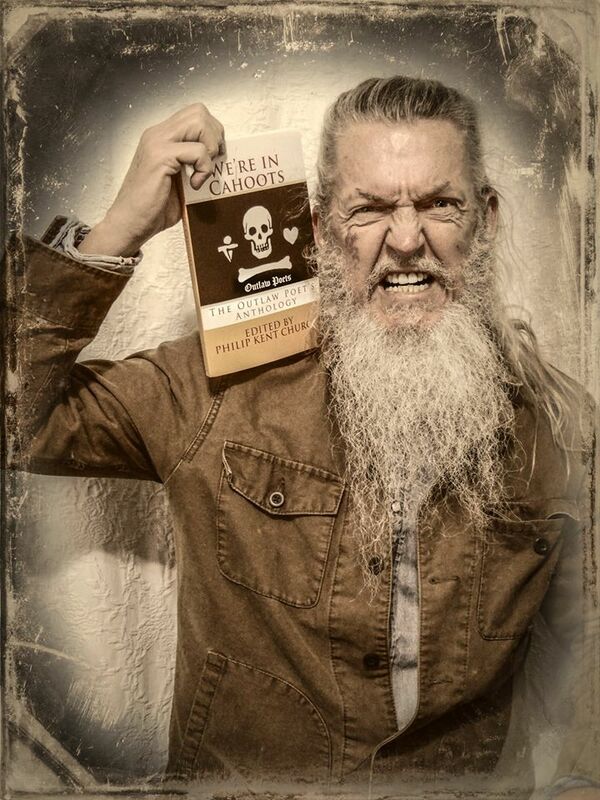 The dude’s a powerhouse and so full of consummate wisdom. also reinforced some of my current feelings of being cool with the unknown,to stay the course of flowing with instinct and intuition and dealing with the punches as they occur. Thanks for the inspiration Ron and Saira! 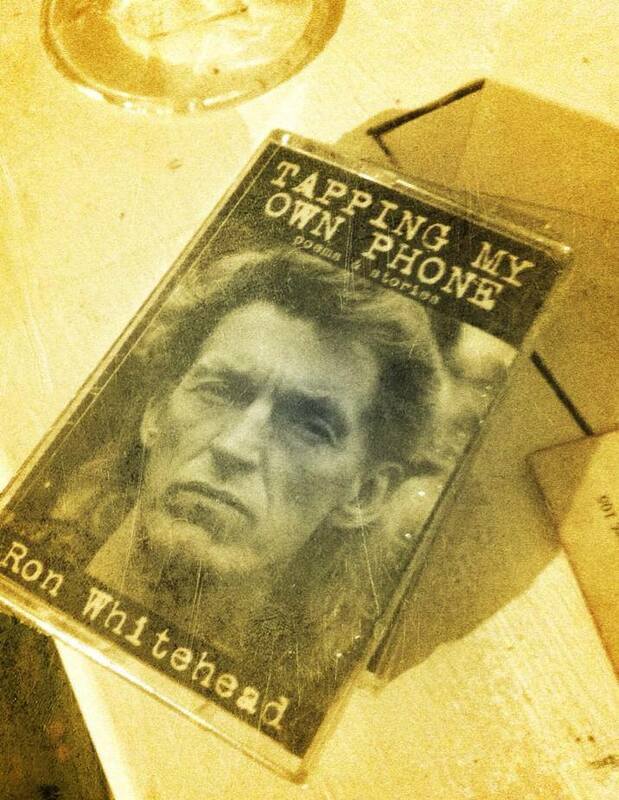 Lovely to see this interview with Ron Whitehead! Well done! PS: Please provide attribution with the photos. Saira, another terrific interview! Ron’s one of those rare people who have something worthwhile to say, and is unafraid to do so. Looking forward to your next work. Onward!